Born in Kanagawa on February 16th, 1987. Yu Kashii spent her childhood in Singapore. She started her career as a model in 2001, and soon started working in TV drama and TV commercials before appearing in Water Boys, a TV drama that led her to her film debut with Lorelei: The Witch of the Pacific Ocean in 2005. 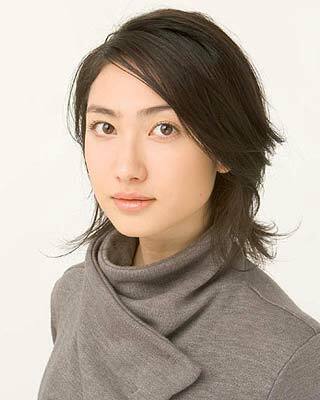 On February 2, 2008 Yu Kashii married actor Joe Odagiri. Actress Yu Kashii dropped out of NTV drama series "Renai Jidai" after the death of her 1-year-old son on June 20, 2015 due to intestinal obstruction. Her son was her second child with actor Joe Odagiri. squish Aug 24 2018 1:10 am ahhh I wish she'd get back in the acting world again. Ballsq May 05 2013 1:55 pm she's so beautiful and talented actress... i love her... i like her performance on my boss hero beautiful teacher and caring... she's married with joe odagiri.... i'm so envious with him... ganbate !!! nurbazla91 Jan 08 2013 8:39 pm Can't wait to watch A Chef of Nobunaga now. She was awesome in Osozaki no Himawari. ^o^ I'm definitely a proud fan!! Keiko Sep 15 2012 11:45 pm I really love her in Yukan Club. She was princess-like and beautiful in her own way. When she slapped Yuri in eps 2, I was so happy because it shows how much she loves her friends..well,like me! Don't start talking about eps 6 because that is like the best episode ever! She was so cute with Yuya~I really hoped they could be together in the end. She wears a lot of Kimono in this drama and she looks stunningly beautiful in them. She's the perfect model for Kimono because she has that traditional look. llheathot Apr 16 2011 5:40 pm February 2 or February 16, what's the real wedding date? Hana Jun 18 2009 9:36 pm I really like her. I think she's an awesome actress.